RBTH presents a selection of views from leading Russian media on international events, featuring reports on orders to remove history books from school libraries in the Urals, and the techniques being used to falsify signatures in regional elections, as well as analysis by Russian experts on Greece's economic collapse and its significance for Russia. The Kommersant business daily reports that the Education Ministry of the Sverdlovsk Region in the Urals [800 miles east of Moscow] has ordered history books published with the support of American millionaire George Soros's foundation to be removed from school libraries. Directors of educational institutes in the Sverdlovsk Region are required to "remove from the access of students and pedagogical collaborators" all books by British historians Antony Beevor and John Keegan, which, the document says, "propagandize stereotypes formed during the Third Reich." The decision has outraged Russian historians. 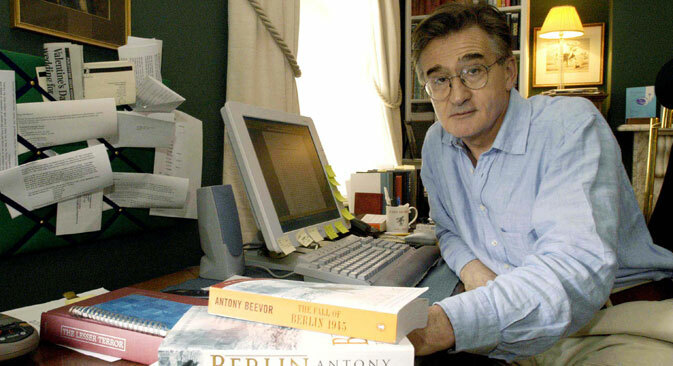 "Of course, we have a rather critical position on Beevor's books, but he is a famous expert," remarked member of the Russian Academy of Sciences and co-chairman of the Russian Historical Society Alexander Chubaryan. "Whatever the case, a history teacher must familiarize himself with various points of view, in order to juxtapose them." The idea of the necessity to remove scientific books from libraries on ideological grounds also disappoints Ivan Kurilla, professor at the European University in St. Petersburg and member of the Free Historical Society Council. "This is pure fascism. It would have been better to just add good Russian works and start a serious discussion on war in schools," he said. The centrist newspaper Nezavisimaya Gazeta has published the opinions of a number of experts on Greece's economic collapse. Nikita Kulikov, executive director of the Heads Consulting company, remarked that Greece will always be pulling the EU down unless the tough decisions to either declare bankruptcy or write off Greece's debts are taken. "Unfortunately, both solutions are unacceptable. The first – due to the financial losses, to which the EU will never agree, and the second – not only because of the financial losses but also because of the possibility of creating a precedent that subsequently other borrowers may take advantage of." Another Nezavisimaya Gazeta source said that the collapse of the Greek market should not have any serious impact on the European economy, since the Greek economy is relatively small. Yet Daniil Nametkin, an expert at the Analytical Center of the Russian Government, added that signs that the EU economy is slowing down can already be seen. "In particular, industrial production in the eurozone in May 2015 unexpectedly decreased by 0.4 percent," he said. Some experts are worried about the fact that Europe's problems may have an influence on Russia's economy. Director of Investments at AGT-Invest Dmitry Nuzhdeny stressed that "Russia is still closely tied to the EU, despite the sanctions and the food embargo." He also pointed out that a reverse trend in relations is not being observed: When positive changes begin to appear in the European economy, they have little effect on Russia. The Gazeta.ru online newspaper reports that signatures in favor of certain candidates in regional elections are often gathered illegally. "Often signatures are forged,” said a political consultant cited by the publication. “Sometimes the candidate knows about it, sometimes he doesn't. Sometimes ‘proportions’ are created on how many real ones there should be and how many can be falsified." Gazeta.ru explains that in order to fill in a falsified signature sheet in favor of an election candidate, the citizen's personal data is required, as well as their signature. Usually, to acquire data and falsify the signature, information from secondary databases is used: various financial organizations, medical insurance policies, driver's certificates, mobile phone companies, etc. "The paradox is that if a competent team worked on the falsification, then the ‘forged signatures’ are almost always better than the real ones," remarked a political analyst interviewed by Gazeta.ru. According to the source, the "forged" data has a better chance of passing inspection by election committees, since the people who fill in the pages do it more carefully and attentively than volunteers or other collectors who gather real signatures."